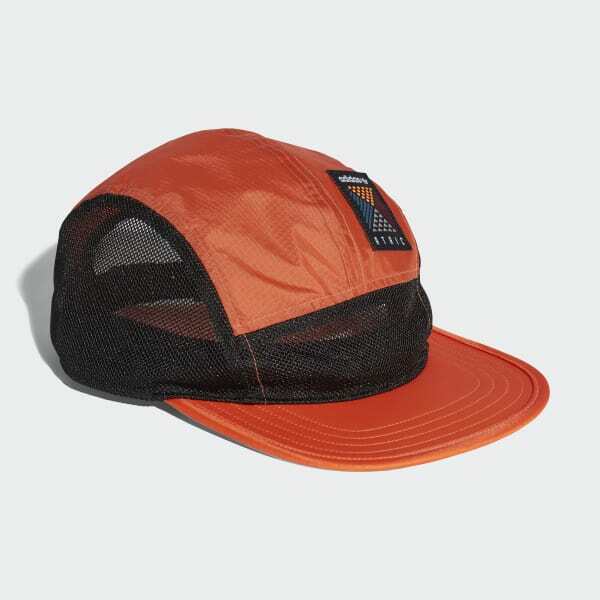 A five-panel cap inspired by adidas outdoor gear. Explore your streets in this five-panel cap that's inspired by adidas adventure gear. Lightweight and breathable, it's made with mesh and ripstop panels. It has an adjustable strap in back with a plastic buckle closure.